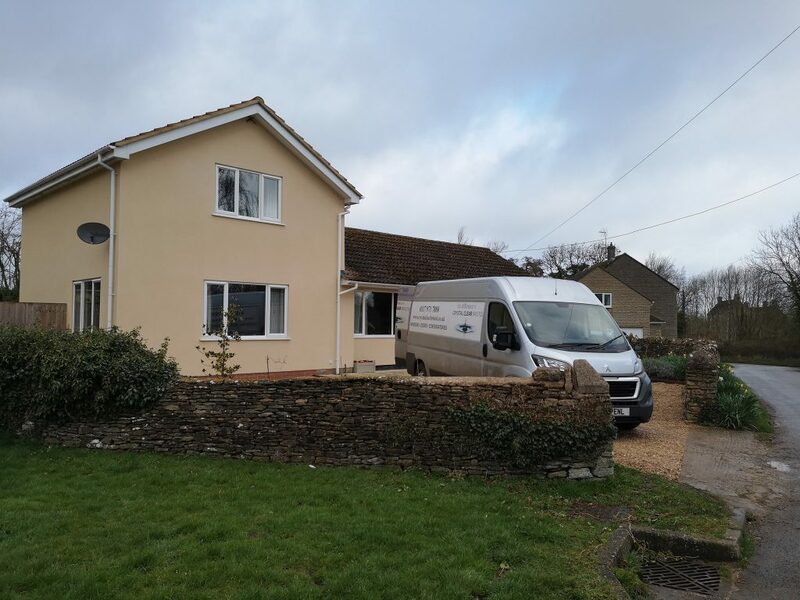 Back in February we were approached by a family living in Luckington, in the Cotswolds, who had recently moved into their new home. 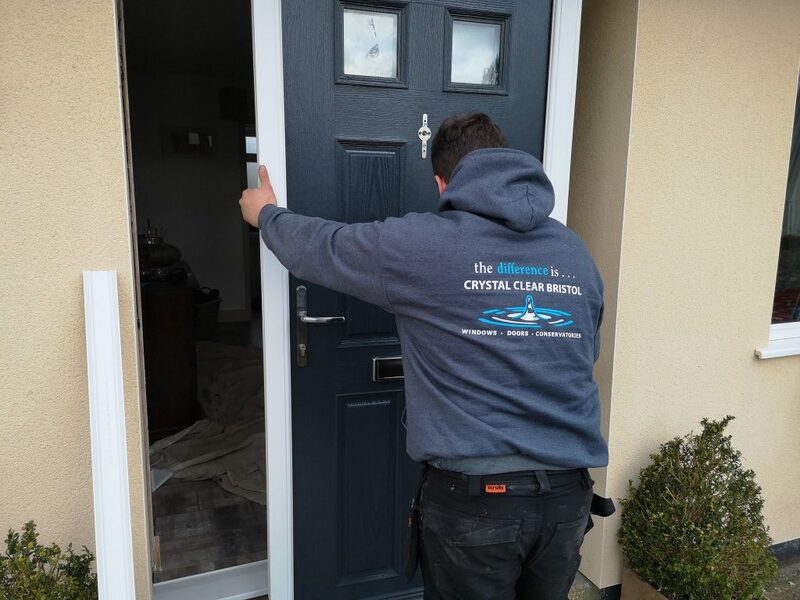 They were increasingly concerned by the poor standard of their front door and were keen to get a free quote for a brand new Composite Door instead. 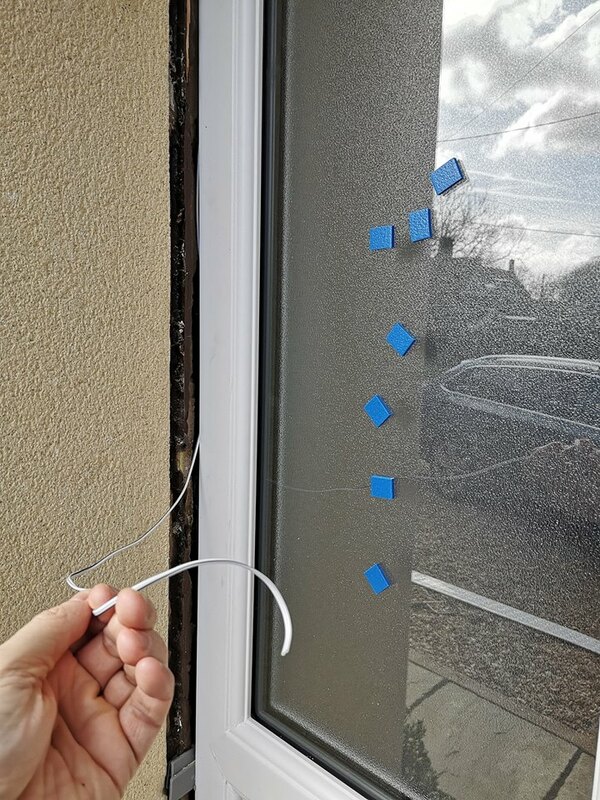 They felt the existing front door offered little in the way of security, which caused additional worry and had a badly painted finish, that was starting to peel away, having only been painted by the previous owners just months previous. 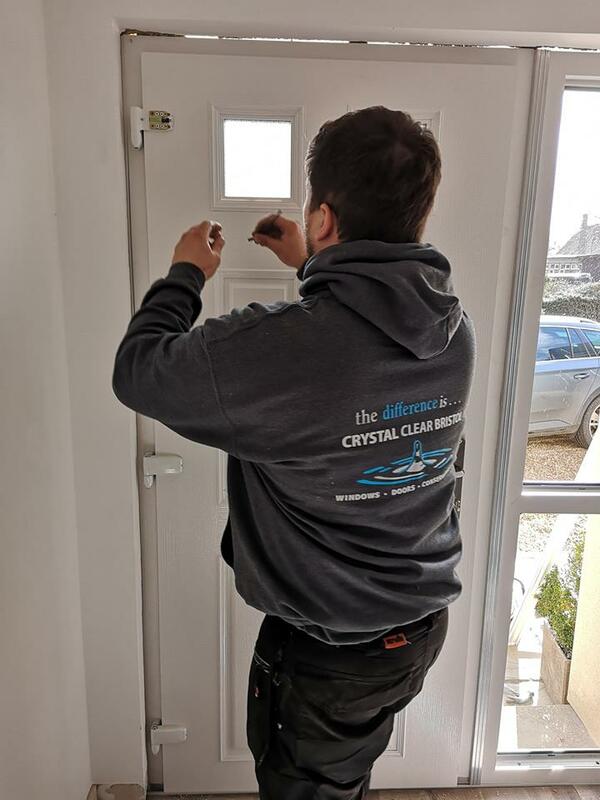 Irritatingly for them there was no letterbox, door knocker or spyhole and the door had been fitted poorly allowing cold air to seep in to their home, increasing their fuel heating bills. 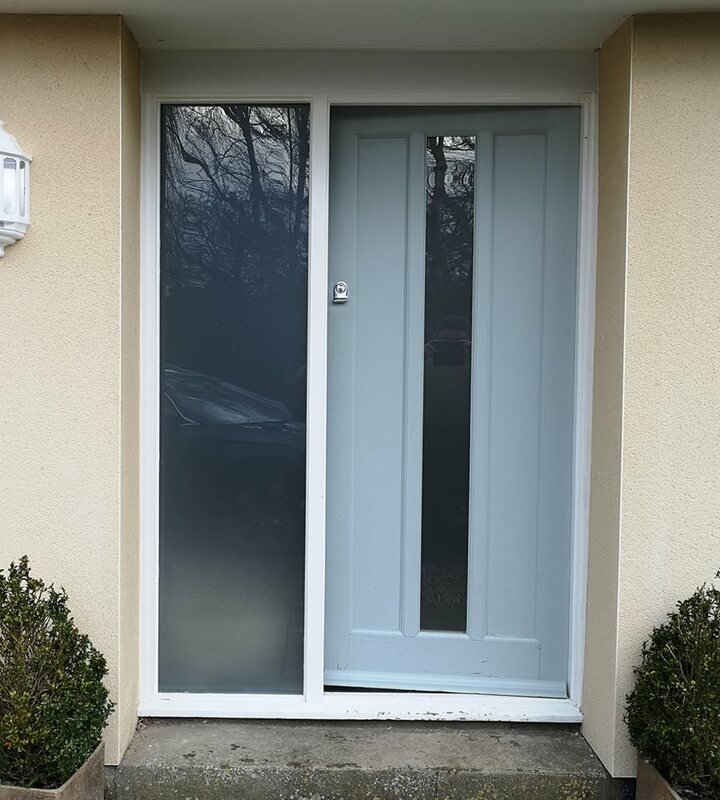 We quoted competitively (as our team always do) and ordered them a new Apeer composite front door that would help improve security, minimise heat loss and give a much improved appearance. 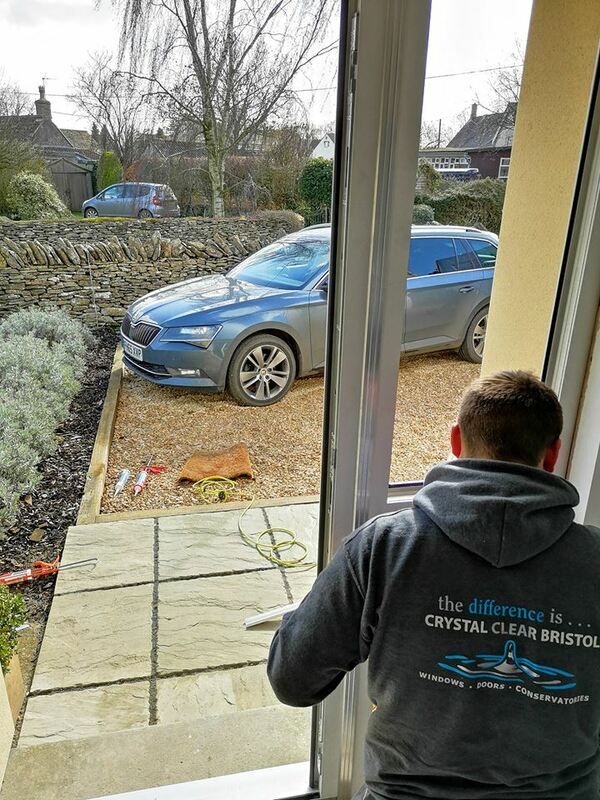 On the day our client was delighted that our fitters turned up – as promised – promptly at 9am, ready and able to get to work. 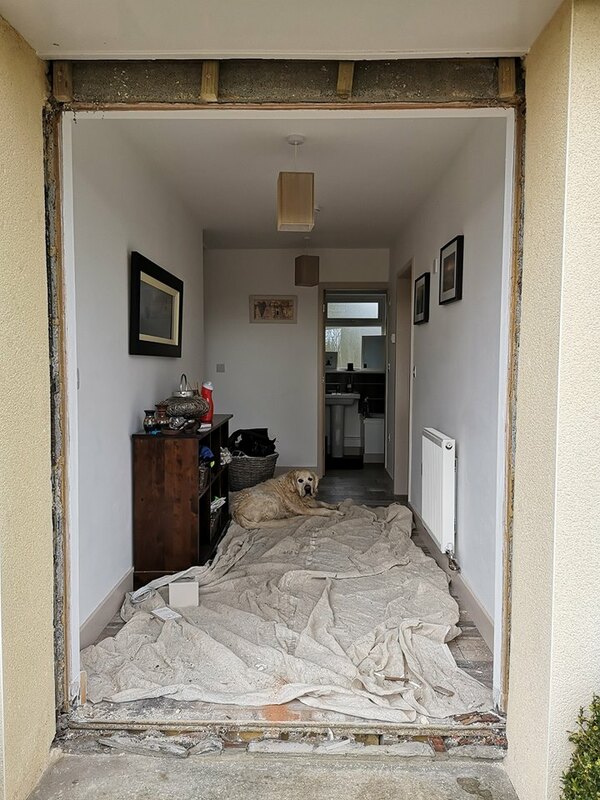 The first task was to put down protective coverings inside the house, ensure the area was safe to work in and then begin to remove the old door and frame. 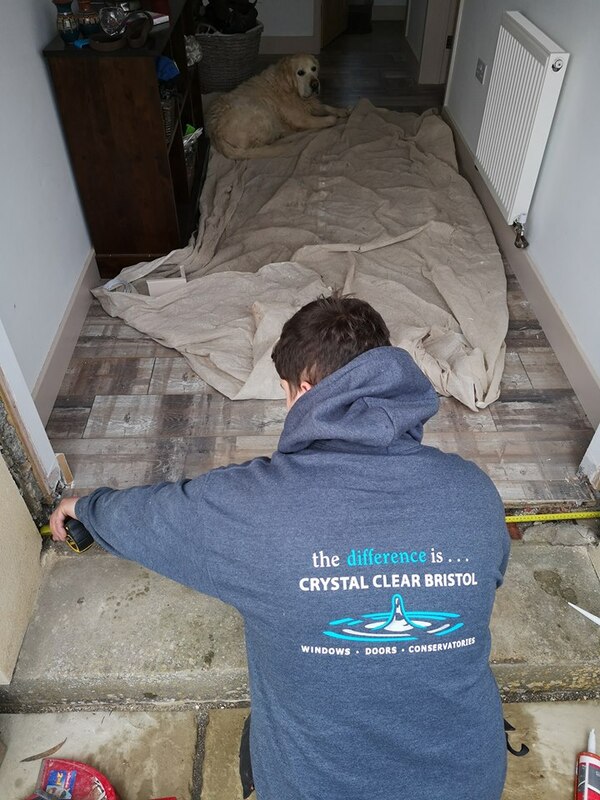 This was carried out with little drama and our fitters ensured the working area was kept clear of any debris to minimise any potential accidents and stacked the old door safely elsewhere for removal later. 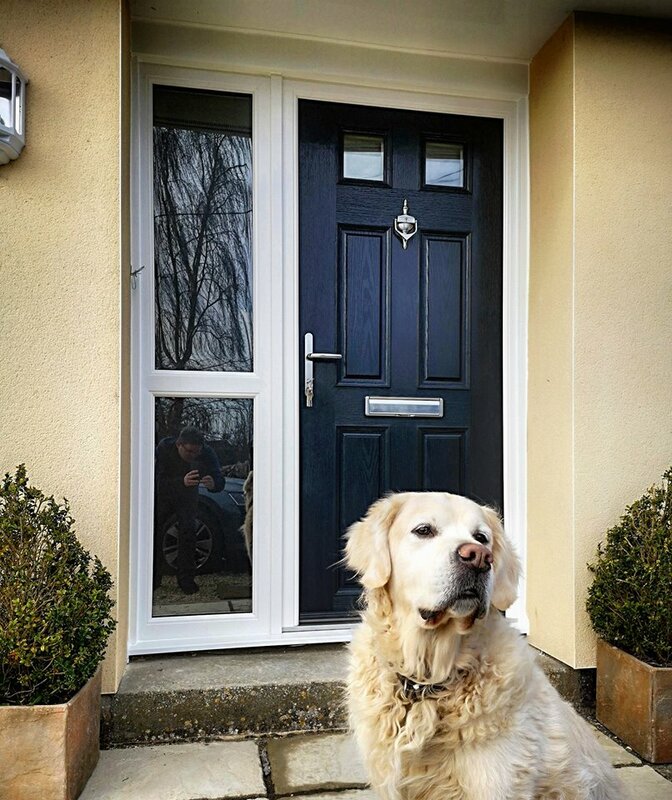 Our customer’s dog was also very taken by our fitters and refused to leave them! With some persuasion he was banished to the client’s living room so our fitters could then get the new door in. With measurements all double checked, the new door was safely brought out of the van and out of its protective wrapping and offered up to the empty aperture. 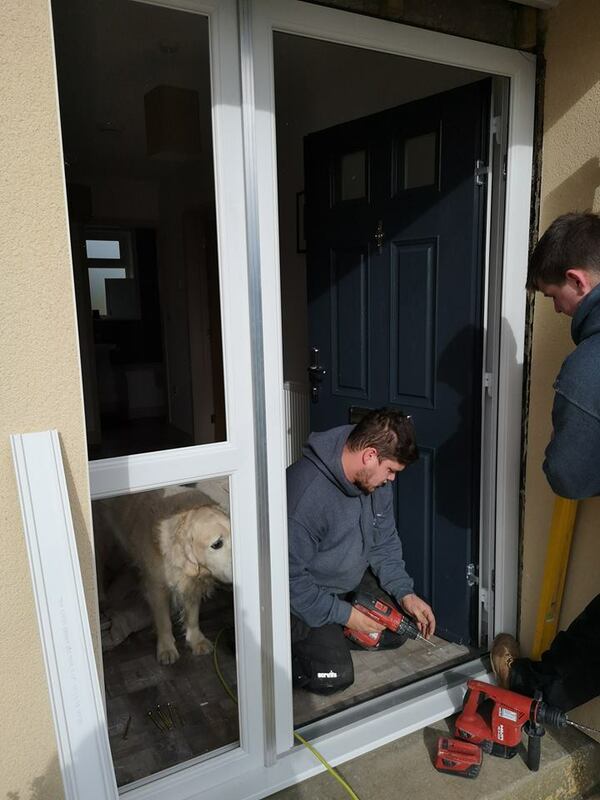 Safety is paramount when fitting new doors and this project was no exception. 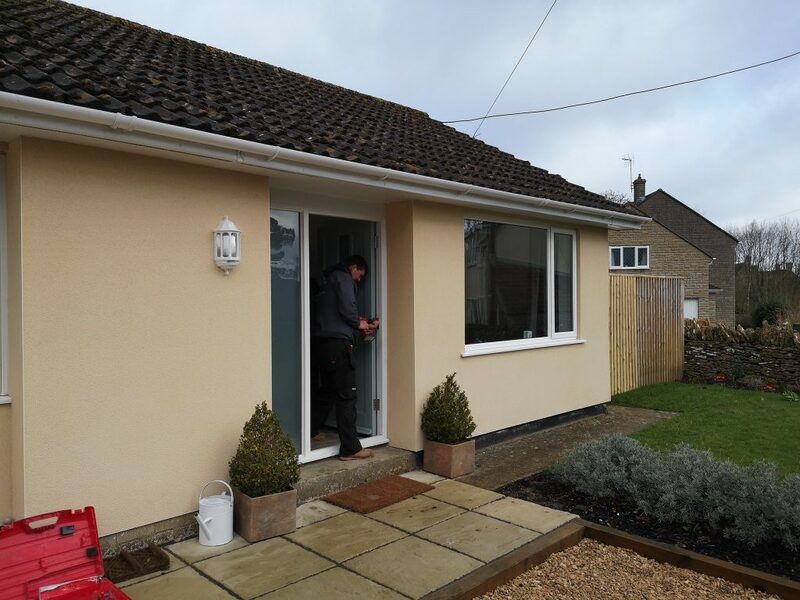 Great care was taken to avoid any accidents but also to ensure no damage was caused to the property’s K Rend finish. Once the main frame was in then the side panel frame was carefully placed in the correct position. We took the time to ensure all the bolts holding the frame in place were correctly tightened as our team are nothing but thorough! The owner’s dog got loose (again) and came to check everything was going to plan. The client’s electrician had left behind electrical cable for a door bell to be fitted at a later date. We made sure we didn’t forget to feed it through the gap and the frame before any door trim was fitted. The hinges had to be adjusted to allow the door to open and close properly which took a little fine-tuning to ensure all worked smoothly. 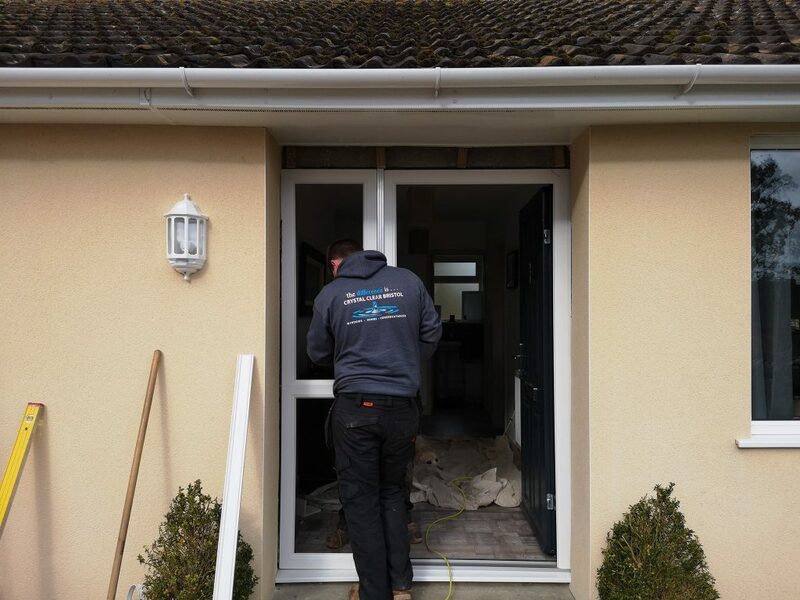 We then spent time fitting the door trim and sealing any areas that were exposed and after just a few hours we were done! One very happy client and his family and 2 fitters immensely proud of their work! The front door has attracted a number of very positive comments from passersby who were impressed by the quality. Note the very stylish metal handles, door knocker with spyhole and letterbox too. 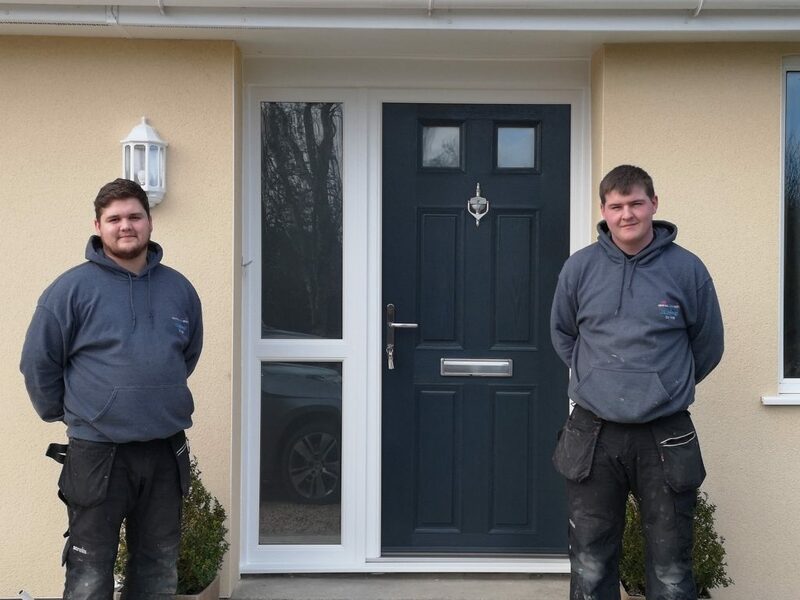 We’d like to say a big thank you to our fitters, Lawrence and Luke, who did such a sterling job on the day and yet again showed their dedication to great customer care and attention to detail. Well done chaps, even the client’s dog was impressed! 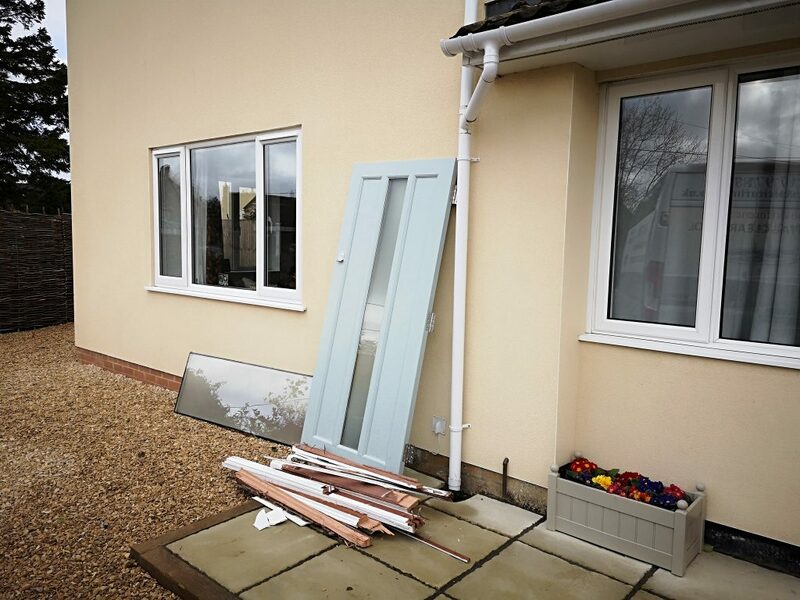 This entry was posted in doors on April 2, 2019 by James Mizen.